01. What is a nut roast? A nut roast is a savoury dish in which an assortment of nuts, vegetables and herbs are baked in a loaf tin until firm. It can be elevated to a terrine when the ingredients are packed into the tin in a particular order, to create attractive layers when sliced. For example, the tin may be lined with softened vegetables like blanched cabbage leaves or roasted aubergine slices, before a filling is spooned inside. The overhanging edges of the lining are crossed over the top to create a complete wrapper. The loaf is then turned out of the tin and sliced into portions. More commonly, the ingredients are simply blended together and spooned into the tin. This allows a tasty brown crust to develop on top, by letting the water evaporate off the surface. Nut roasts are usually served as a vegetarian alternative to roasted meat, alongside the usual trimmings of roasted vegetables, steamed greens and a gravy or sauce. Red berry sauces such as redcurrant or cranberry are popular, as sour flavours balance the richness of fatty nuts. 02. Which nuts work best in a nut roast? A good mix would involve maybe 30% creamy and mild nuts, 20% bitter nuts, 20% sweet nuts and 30% starchy nuts. I’ve restricted my recipe to a 3-nut mix that contains easily-obtainable and less expensive nuts, but I’ve had good results when I’ve include vacuum-packed chestnuts that I’ve mashed into a floury paste. Whatever combination of nuts you use, you should roast them separately for around 10 minutes before folding into the main mix. This extra step intensifies the nutty flavours and creates a crisper texture. 03. How do I lighten the texture of a nut roast? Nuts are dense and nutrient-rich, being high in fat and protein. This means that nut loafs need to be lightened with some form of carbohydrate. Grains like breadcrumbs, oats, rice and quinoa are popular choices for creating a light and spongy texture. Loafs which contains grains will usually include 200 – 300ml of vegetable stock or liquid, which is needed to rehydrate and cook the dried grains. 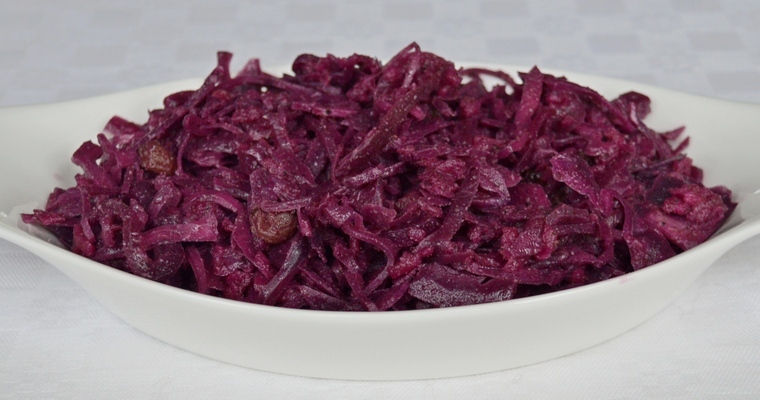 Grain-free versions can be made using starchy vegetables like beetroot, butternut squash, carrots and parsnips. The vegetables need to be finely chopped, grated or pureed, as large, coarse chunks will causes the loaf to fall apart. 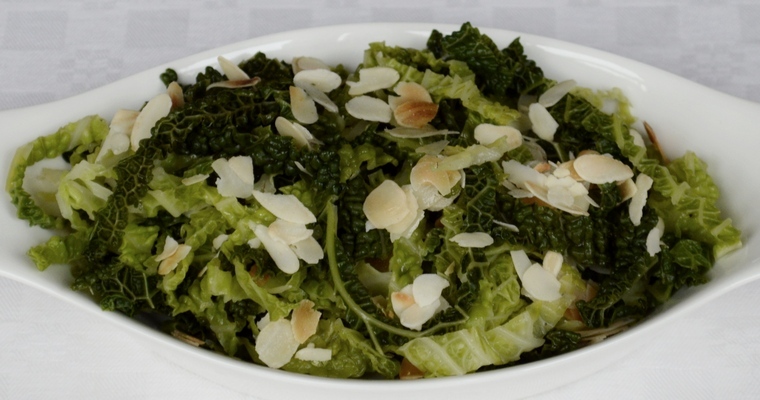 I prefer to use raw, grated vegetables rather than cooked and pureed vegetables. I experimented with poaching chopped parsnips in 200ml of red wine mixed with 200ml of water, and then pureeing the drained parsnips for the nut roast while reserving the cooking liquid for making a very tasty redcurrant gravy. I found that pureed vegetables create a denser loaf with a sloppy consistency, while grated vegetables create a lighter loaf with more interesting textures. 04. How do I bind a nut roast and stop it from falling apart? A mixture of vegetables and nuts does not create a naturally cohesive and stable structure. Some sort of binding agent is needed to glue these building blocks into place. 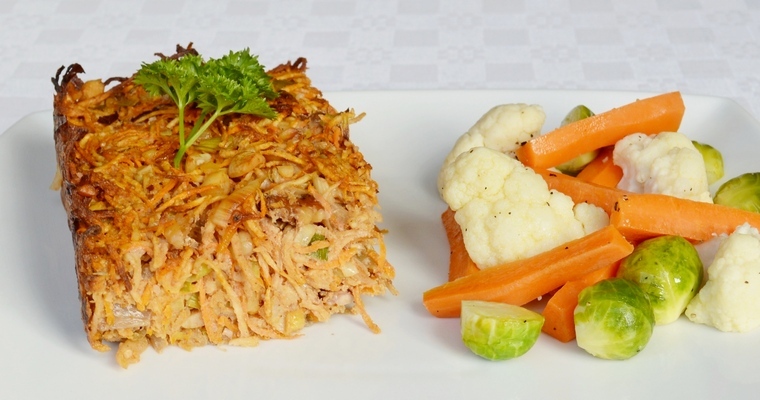 In a vegetation nut roast, a lightly beaten egg or grated cheese can be added to help bind all the ingredients together. When heat or acid is applied to animal proteins like egg, milk and meat, the weak bonds that hold the protein molecules together get broken. This causes the molecules to loose their shape and unravel, changing from a complicated folding structure to a simple string. A larger bonding area is available in the unravelled structure, which allows new and stronger bonds to form. You can see this in action when you crack an egg into a hot frying pan and watch the whites transform from transparent liquid to opaque solid as the proteins coagulate. Another trick is to simply bake the nut roast in a square tin rather than a deep loaf tin. Spreading the mixture over a larger area creates a squat structure that will not fall apart when sliced. It also exposes a larger surface area to browning, meaning that you can enjoy more of the flavoursome crust. For a vegan nut roast, ground flaxseeds can be used as a binding agent. Flaxseeds are a popular egg replacement, as they take on a gel-like consistency when mixed with water. You can replace the eggs in this recipe with 3 flaxseed ‘eggs’ (i.e. mix 3 tablespoons of flaxseeds with 9 tablespoons of water, and leave to thicken for 10 minutes). 05. 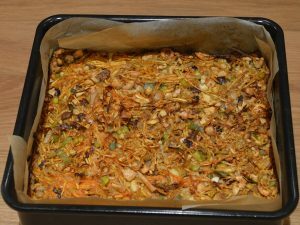 How do I get umami flavour into a nut roast? Umami is one of the five basic tastes, together with bitter, salty, sour and sweet. It is usually described as ‘meaty’ or ‘savoury’. It is found in fresh foods like black olives, mushrooms, tomatoes, seaweed, anchovies and hung meat, and in aged and fermented foods like balsamic vinegar, miso, nutritional yeast, soy sauce, blue cheese, parmesan cheese, fish sauce and cured meats. As nut roasts do not contain meat, it is important to include an umami-rich ingredient, in order to create the most satisfying balance of flavours (the best dishes contain all five tastes). Mushrooms are the most popular choice, as fresh tomatoes can be too wet and sour, and black olives can be too overpowering for the delicate nutty flavours. I personally prefer to use tomato puree, which provides a concentrated burst of umami without affecting the texture or flavour. Prepare the tin. Preheat the oven to 180°C/355°F. Line a 20cm/8″ square cake tin with baking paper. Roast the nuts. Bash the cashew nuts until they break apart into small pieces – you can use a pestle and mortar to do this, or seal in a bag and bash with a rolling pin. Tip into a large, metal roasting tray. Repeat with the hazelnuts, then the walnuts. Arrange the nuts in a single layer on the tray, giving the pieces room to roast and brown. Transfer to the preheated oven. Roast for 8-10 minutes, until toasted and lightly browned. Stir halfway through, and turn the tray for even colouring. Remove from the oven and set aside. Saute the vegetables. Meanwhile, heat half the cooking oil (60ml) in a large frying pan over a medium heat. Add the leek, celery, onion and garlic and fry for 10 minutes, until the vegetables are just starting to brown at the edges. Add the smoked paprika, allspice, thyme, salt and pepper. Fry for 1 minute, stirring constantly to prevent the spices from sticking and burning. Turn off the heat and set aside. Assemble the nut roast. Crack the eggs into the largest mixing bowl that you own. Add the tomato puree and the remaining olive oil (60ml). Whisk until fully blended. Tip the roasted nuts, sauteed vegetables and grated parsnips and carrots into the bowl. Mix well using a wooden spoon. Spoon the mixture into the prepared tin, pushing down firmly with the back of the spoon to compact the mixture. Pour over the water and leave to absorb for 1 minute. Cook the nut roast. Transfer to the oven and cook for 45 minutes, until browned on top. Leave to cool in the tin for 10 minutes, before lifting out onto a chopping board and slicing into 4-6 slices. Transfer to dinner plates using a fish slice, and serve hot.